“Casa Jasmina” is a two-year pilot project in the business space of domestic electronic networking, or, “the Internet of Things in the Home.” Our goal is to integrate traditional Italian skills in furniture and interior design with emergent skills in Italian open-source electronics.The project is a showplace inside the large industrial building already shared by Toolbox Co-Working, Fablab Torino and Officine Arduino. A guest-house for occasional visitors to Toolbox, Officine Arduino and Fablab Torino. We are building Casa Jasmina in order to encourage industries that will create tomorrow’s living spaces. Casa Jasmina is an incubator, and its purpose is industry-boosting in the Torino and Piemonte IoT space. The successors of the Casa Jasmina project will be real homes with real, innovative products inside. 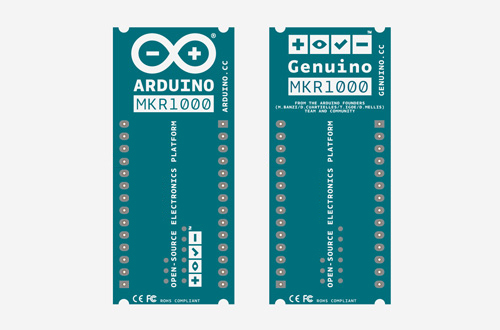 MKR1000 is a powerful board that combines the functionality of the Zero and the Wi-Fi Shield. It is the ideal solution for makers wanting to design IoT projects with minimal previous experience in networking. Arduino MKR1000 is based on the Atmel ATSAMW25 SoC (System on Chip), that is part of the SmartConnect family of Atmel Wireless devices, specifically designed for IoT projects and devices. The ATSAMW25 includes also a single 1×1 stream PCB Antenna. 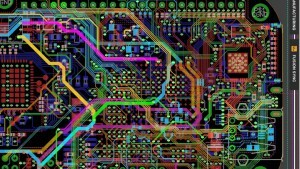 This board has been designed to offers a practical and cost effective solution for makers seeking to add Wi-Fi connectivity to their projects with minimal previous experience in networking. 96Boards is the first open specification to define a platform for the delivery of compatible low-cost, small footprint 32-bit and 64-bit Cortex-A boards from the range of ARM SoC vendors. Standardized expansion buses for peripheral I/O, display and cameras allow the hardware ecosystem to develop a range of compatible add-on products that will work on any 96Boards product over the lifetime of the platform. The 96Boards standard specification and this website are maintained by the Linaro Community Board Group (LCG). Linaro is a collaborative software engineering organization focused on the ARM architecture. Corporate members of Linaro provide funding and engineers plus direction through various steering committees and resources are split into semi-autonomous groups with their own members. LCG is one of these groups and its member companies contribute to the development of the 96Boards specification, the maintenance of this website and support for the software builds for their compatible boards.